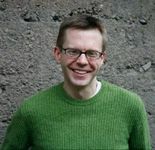 Matt Leacock is a game designer and user experience designer who is probably best known for creating the very popular game Pandemic. He has been designing games full time since 2014. Prior to that he was a user experience designer at Sococo, Yahoo!, AOL, Netscape, and Apple.